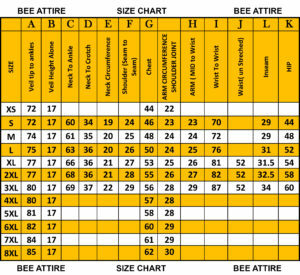 Please Choose one Size Larger that fits you. 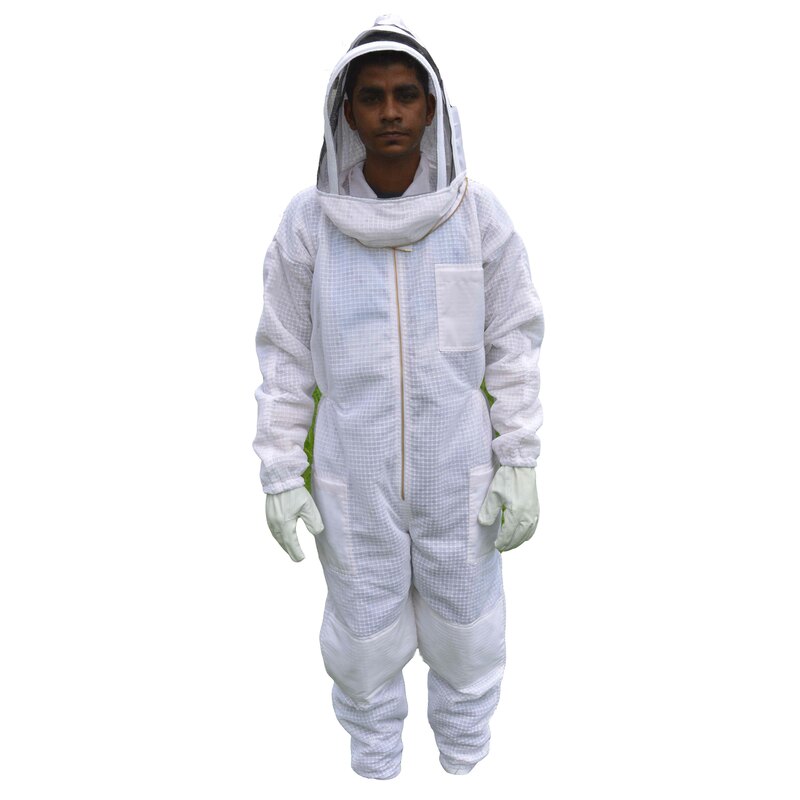 Ultra Ventilated Bee Suit is made from 3 layers of mesh, We use Body friendly mesh which is non irritating and non itching to body. 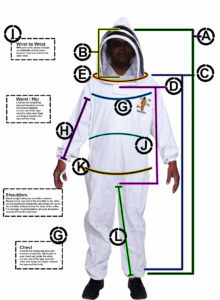 Bee Attire Body Friendly Ultra Ventilated bee suit is light in weight. Material: Top Quality 3 Layer Mesh: Inner Rubberized layer, and 2 Outer layers – in woven mesh. Hood type: Round hood/ Fencing veil. Hood features internal reinforcements inside the lining for extra strength. 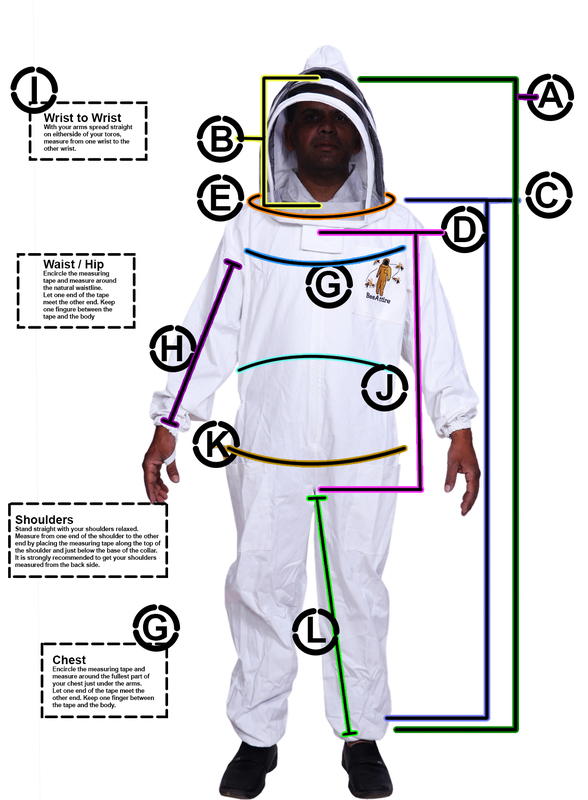 Pockets: 3 in number, one chest, and 2 below waist on legs with extra long space for hive tools. Features high quality YKK Zippers with D rings. 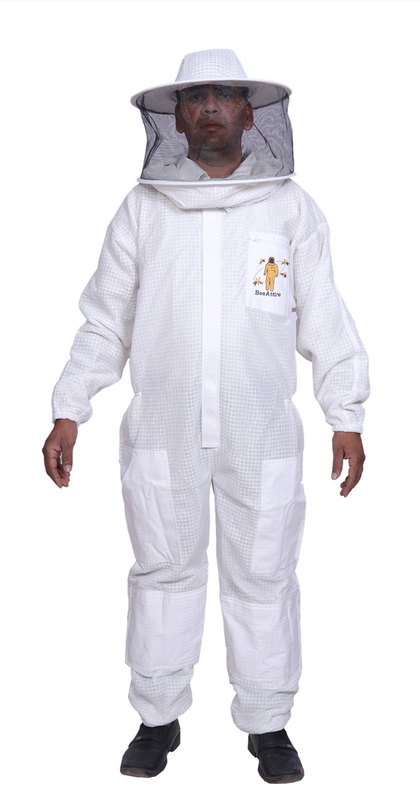 Regardless of whether you are a professional beekeeper or just a bee enthusiast, this Ventilated Bee Suit from popular brand Bee Attire is made for those who handle or manage bees. Made to endure in the harshest of summer conditions, it is woven out of 3 layer mesh, with inner rubberized layer. It also features a woven mesh layer on the outside. 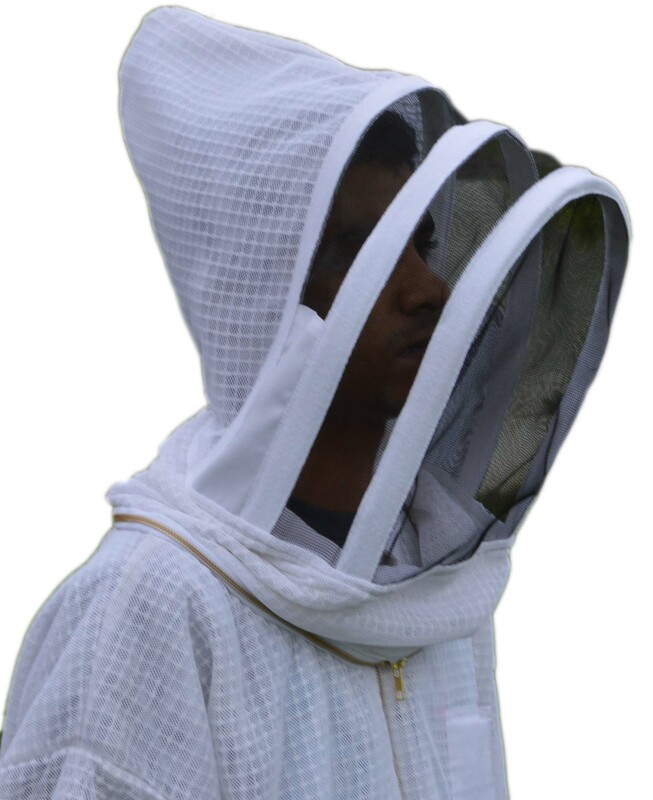 This kind of making gives enduring strength which is significantly stronger than regular materials, offers adequate protection against stings while also keeping the wearer cool and composed. The Padding on knees offers durability and comfort and allows the suit to withstand longterm use without wearing out. It has a relaxed fit with multiple pockets that are long enough and tool loops that help to keep your tools handy along with Elastic loops on ankles and on calf. The elastic loops offer extra-protection by not allowing any room for bees to enter accidently and create problems for the wearer. 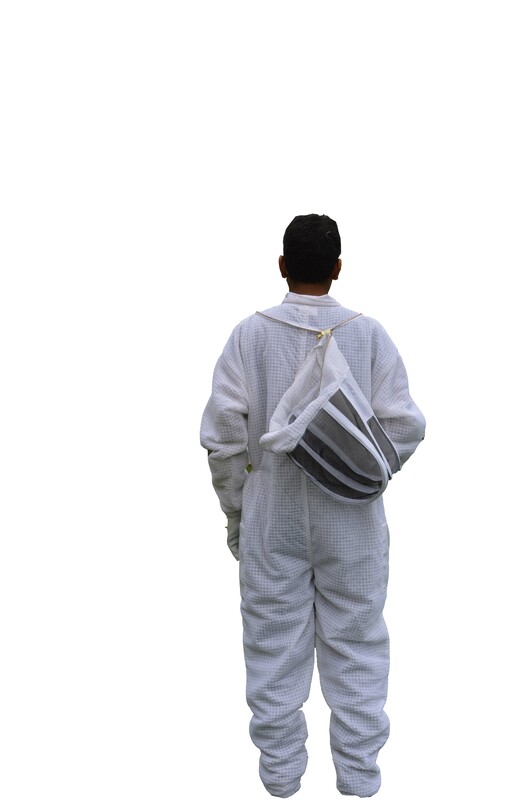 The suit can be worn at any time even at the hottest times of the day to keep the wearer cool by keeping the air circulating within. The hood two way YKK zippers to allow the hood to hang at the back when needed. Hood can also be detached from suit using these zippers. Zippers will work easily even with leather gloves due to D Rings in zippers. The leg zippers enable the user to wear them with or without boots. 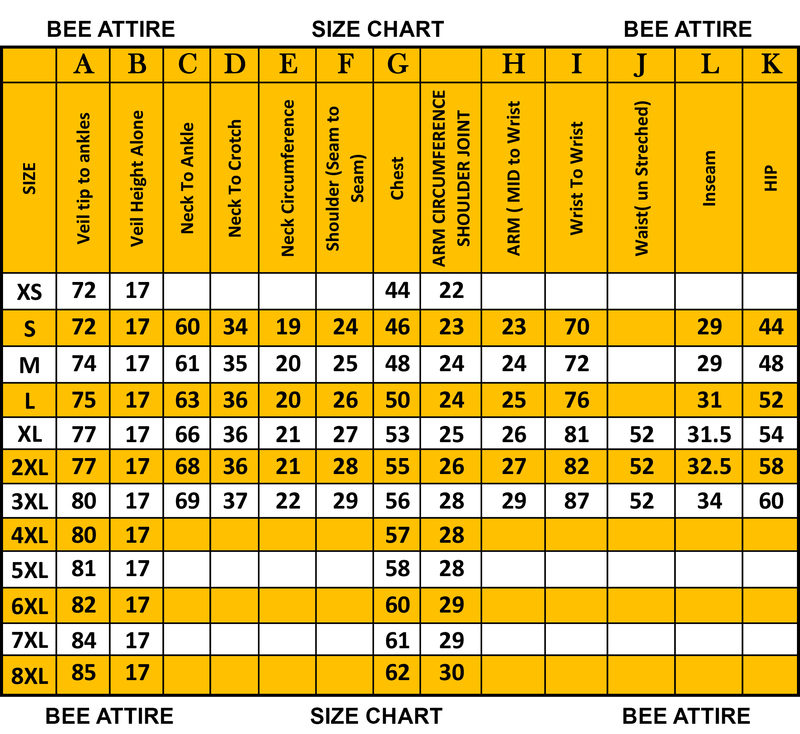 The waist is elasticized with a good quality and comfortable elastic that offers a sturdy shape. The suit also has elastic at the ankles and calves for added protection. Extra lightweight, ideally sized to match every suit. Includes vented gauntlets for adequately protecting the arms.